It’s just a month to go to the inaugural Ride Dingle, cycle sportif on Saturday 27th of April. It’s time to think about getting your bike ready for the main event. 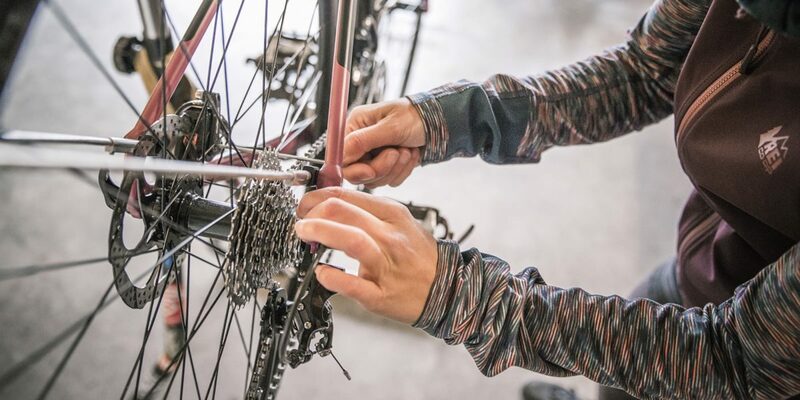 Here’s what you can do to make sure it’s in good condition for your cycle. A lot of dirt is collected on a bike after cycling on the Irish roads in the winter. It’s a good idea to get into the habit of giving your bike a wash down and dry after every spin. If you don’t have the time to wash the whole bike at the very least you should wash, dry and lube the chain and cassette. This will prevent rushing on chain and give it a longer life span. If you have never got a proper bike fit before its time to treat yourself and your bike to one. A trained bike fitter will adjust saddle height, handlebar height and other minor adjustment to your bike. Having a bike set up to fit your body allows you cycle more efficient and help avoid soreness after a cycle. If you’re in the Cork area check out the Bike Fit Physio. A saddle bag is a small bag which attaches under your saddle. Invest in a saddle bag and fill with a repair kit, spare tube, emergency foil blanket and emergency money, this may help you having to avoid a long walk home if you get a puncture. Once you have your bike washed and serviced, enjoy a spin to make sure everything is working well – and enjoy it! 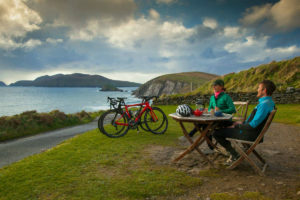 Ride Dingle takes place on Saturday 27th April. Online registration closes on Sunday 31st March at midnight.